That licensing agreement, though, includes a “do not clone” clause, which keeps Microsoft from knocking off design elements of the iPhone and iPad. Samsung, meanwhile, has been attacking Apple’s originality. A parade of expert witnesses cited iPhone features such as “rubberbanding” — the way the screen bounces on an iPhone or iPad when the end of a file is reached, and “snapback” — the way the screen stops scrolling when a user arrives at the end of a collection of images. 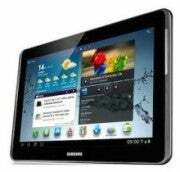 The jury of seven men and two women in the case also heard testimony from a senior designer at Samsung about how hard they worked on making original icons for the company’s phone and tablet products. Apple claims Samsung ripped off its iPhone icons. Among other things, it argues the Cupertino, California-based company violated Samsung’s intellectual property for scrolling through photographs, sending them through email, indexing them, and playing MP3 music files. Apple attempted to undercut the value of those patents to Samsung. The photo scrolling patent, for example, hadn’t been used by the South Korean company in a smartphone in three years, it argued. 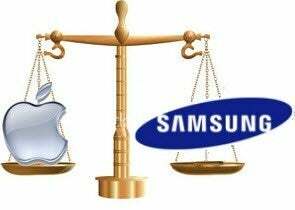 Apple also pressed its copycat case against Samsung while cross-examining one of its technical witnesses. It did that by introducing email messages attributed to Google that showed the search giant was concerned about Samsung’s phone designs too closely copying Apple’s.